Microsoft's new OS won't let you uninstall the latest version of Internet Explorer. In the late 90s, Microsoft was embroiled in a lawsuit brought forth by the United States Dept. of Justice that alleged the company knowingly crushed competing software companies by strong-arming its control of the OS market. 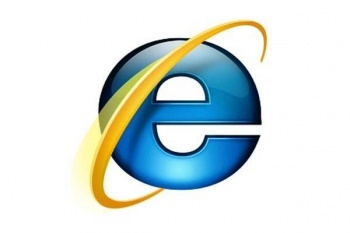 Rival Netscape claimed it was unfair that Microsoft bundled its Internet Explorer with all Windows installations, preventing Netscape's own Navigator browser to gain market share. The judge eventually agreed with the claim and Microsoft was ordered to stop that practice as of 2001. Now that the ten year decree has expired, it seems Microsoft is once again marrying its new operating system Windows 8 with the new Internet Explorer 10. The Windows 8 Developer Preview allows third party software makers to get a glimpse of what's to come, but some developers noticed that the "Metro" interface of the OS was tied very closely with Internet Explorer 10. Experimenting with the settings some more, they realized that it was not possible to remove the browser from the computer entirely, only switch it off like a service. But when they switched it back, they noticed all custom settings were intact, thus proving that IE was never truly removed from the system at all. The big question is whether such a supposed breach in business etiquette - it's not technically illegal because the court order has lapsed - is even important. We're like two Internet "versions" past what was going on in the late 90s. Netscape is no longer a separate company; it is now owned by AOL. Apple makes computers, tablets and phones all of which require the use of its own operating system and software. Google was once a search engine company but now has its fingers in seemingly every pie in the technology bakery including its own browser (Chrome) and an OS based on that browser. A decade is an epoch in Silicon Valley, and the decision of Judge Thomas Penfield Jackson in the United States v. Microsoft anti-trust case in 2001 just doesn't matter anymore. And when Windows 8 launches in a year or so, I will likely never click on that big blue "e" to open Explorer anyway. As long as it's not sucking resources, I don't really care what Microsoft does with its browser.